For the last 10+ years, members of the IEEE 1584 committee have been hard at work trying to determine if the standard practices for arc flash hazard calculations that engineers are using were any good. And by the looks of things... there are a couple of major findings that will lead to some significant changes in the way we are calculating arc flash. This article will review the expected changes and discuss how it will impact arc flash calculations going forward. What is IEEE 1584 anyway? 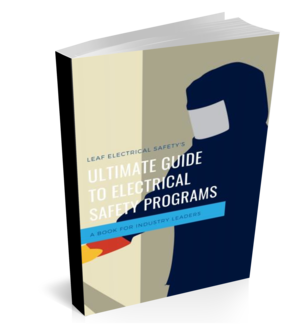 IEEE 1584 is the defacto standard used to calculate arc flash levels in just about every arc flash study done in the world. IEEE or the Institute of Electrical and Electronics Engineers developed the original version of the standard in 2002. Since it's first publication, IEEE 1584 (The Guide for Performing Arc Flash Hazard Calculations) had some glaring holes... one of them which seems to be particularly interesting. Let's take a closer look at what these holes are and what changes we can expect in the next revision. Vertical vs horizontal electrodes... What's the big deal? First of all... what are we even talking about? When IEEE first did the tests to determine arc flash incident energy levels they used "vertical electrodes"... so think a molded case circuit breaker with lugs on the top and on the bottom. These "electrodes" or the parts where the electrical conductors are installed would in most cases be installed on the vertical plane. Now picture a draw-out style circuit breaker... one that has "stabs" that would engage/disengage on the horizontal plane. These are horizontal electrodes. The trouble with IEEE1584-2002 was that it really only accounted for vertical electrodes... and some people didn't agree with this. So they started doing some independent testing. And guess what they found out? That incident energy levels on the horizontal plane can be up to 330% greater than what they were originally thought using the calculations from the vertical. What might be even scarier is that the early arc flash testing that was done on vertically oriented electrodes only accounted for the radiant heat energy of an arc flash. We know that there is also an "ejected arc" associated with arc flash incidents. This is better known as a plasma ball which can come in direct contact with the worker. How will electrode orientation effect IEEE 1584? In the next go around in the standard, as well as commonly used software (such as ETAP, SKM, and EasyPower) you can expect to see the option to choose the equipment configuration that best suits the equipment you are modelling. Either vertical or horizontal, in a box or open air. It might not seem like much but, as I mentioned earlier, horizontal configurations could have up to 330% greater incident energy levels than originally expected. I don't know how else to tell you... the associated cost of an arc flash study is going to go up (whether it's done in-house or contracted out). The updated standard will require better data being put in the front end and that means more time in the field for engineers. With multiple variations for equipment configuration (and I didn't even get into all the other changes coming), it's going to take longer to input the data and analyse for the worst case scenario. It's been almost 20 years since the inception of IEEE 1584. It's about time we see some improvements in how things are being done. Be proactive and start preparing to make some changes to your arc flash system analysis.